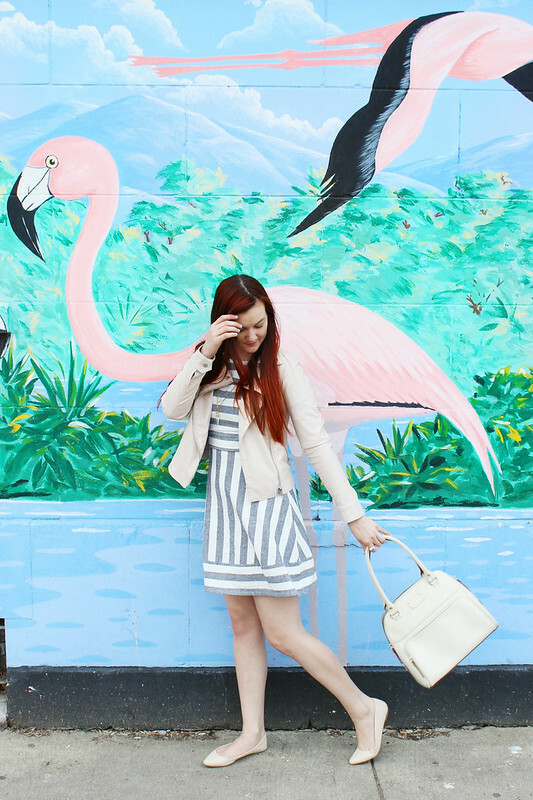 Everyone has that little dress that makes them feel like it's spring. 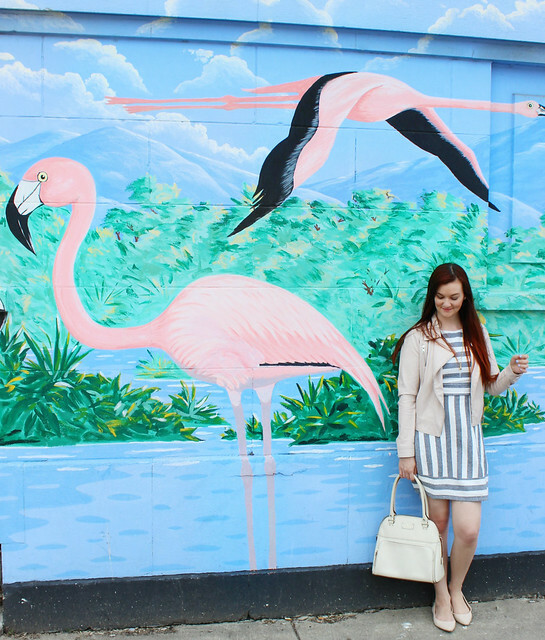 For me, it's this adorable striped skater dress from Marshalls. Of course, they don't have an online shop, but I've linked some similar ones below. I was able to snag this little number for under $20! Hopefully they have some at a Marshalls near you. 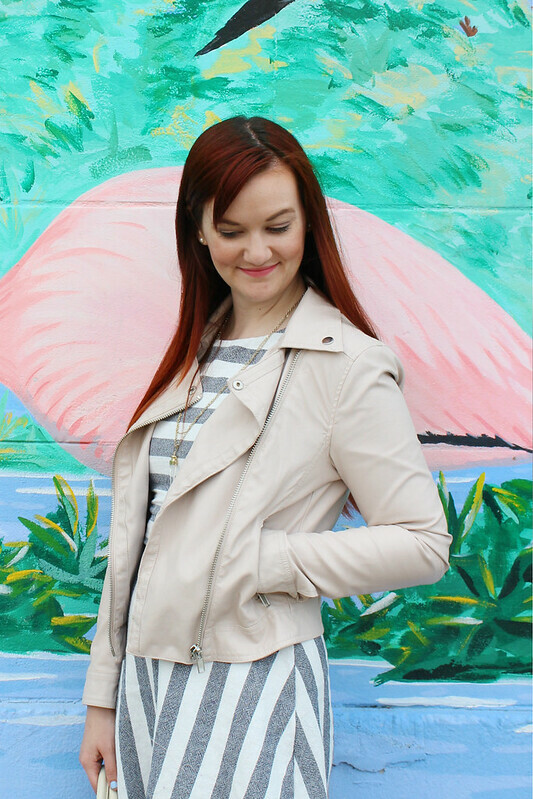 It will be perfect in the summer to just wear by itself (it's sleeveless), but for right now it's adorable paired with my favorite blush pink moto jacket. CLICK READ MORE TO CONTINUE READING. 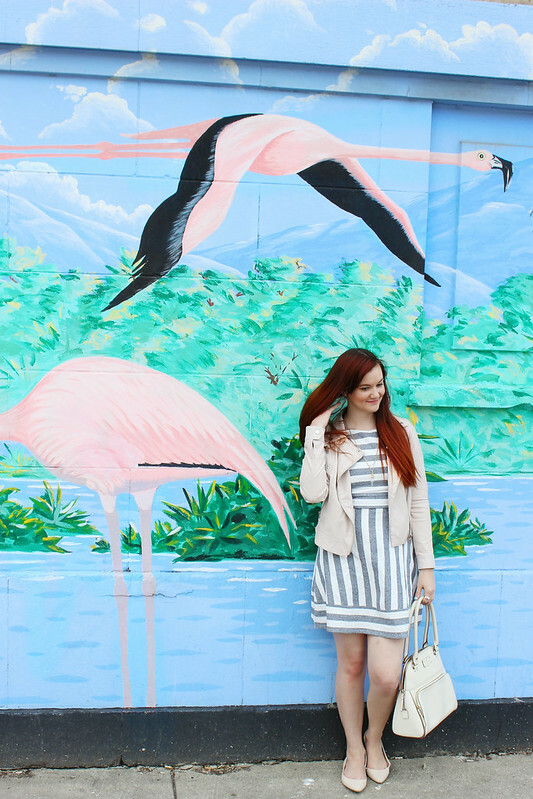 Since this dress gives me serious outdoor/spring vibes, I knew it would be perfectly at home in front of this majorly adorable flamingo mural we have in Chicago. Doesn't it seriously make you want to take an island vacation somewhere amazing? 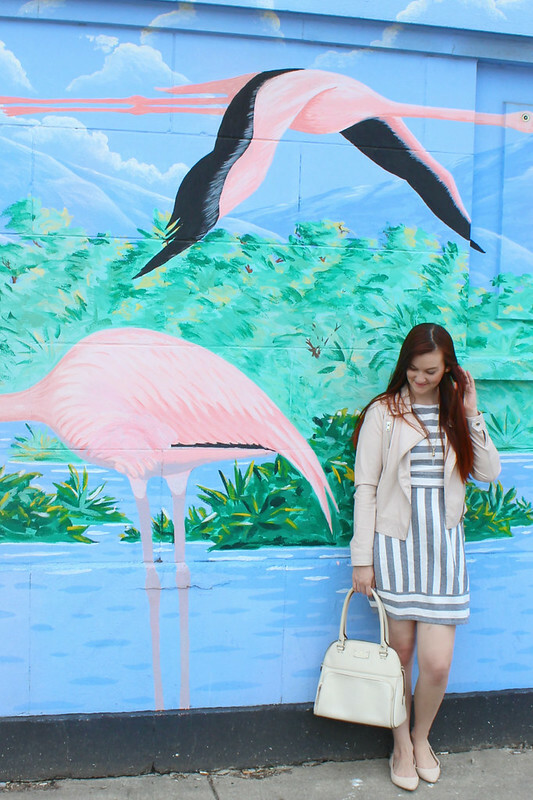 Since the striped pattern is so bold, I wanted to stick with simple neutrals for the rest of the look. 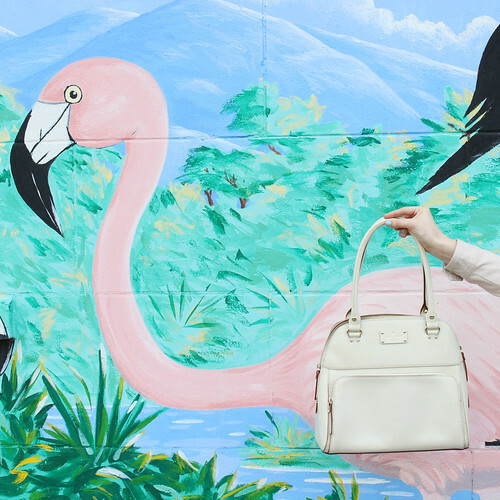 For spring styles, blush and cream are easily my go-to neutral shades. 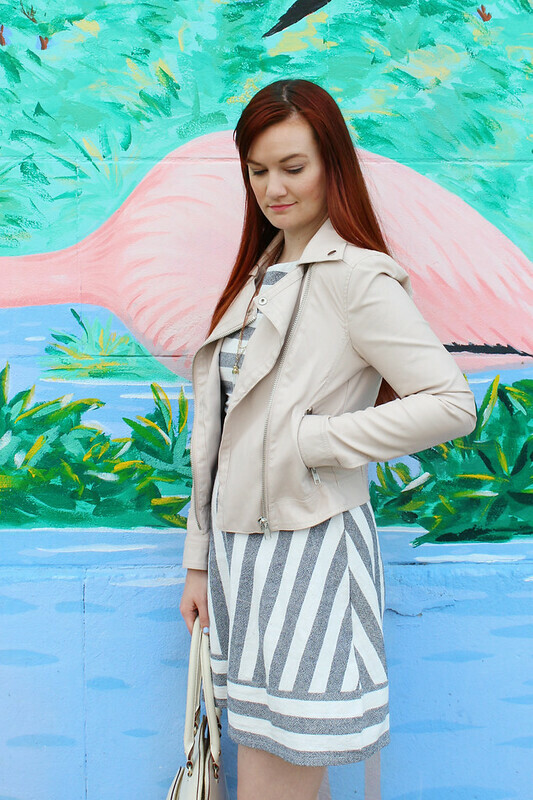 I layered the dress with a blush pink moto jacket, and ended the look with a cream handbag and some simple blush flats.